How can a security system benefit me and my family? There are several ways our security systems can benefit you and your family. In event of emergency, you can press and hold the panic or fire alarm button on your keypad for 1-3 seconds and we will immediately dispatch emergency personnel for you. Another benefit of our security system is our motion sensors. If a motion sensor is activated, you will be notified as well as our Customer Monitoring Center, to find the cause of the detection. This may be helpful if you are out of town to prevent burglary at your home. Other benefits include remote access to your home; with our camera options you can view your house easily right from your phone. If you have a fire or gas problem, our security system will also identify the problem and notify you, as well as our Customer Monitoring Center. I have call waiting on my home phone, will that affect my security system? No. Our security systems are designed to seize the phone line to call our Customer Monitoring Center in case of emergency. Your call waiting will be forfeited should this occur. Why does my motion sensor provide false detections? There are several things that could be causing the motion sensor to activate. The movement of objects near the sensor, such as curtains, or animals may cause the sensor to activate. Improper installation, such as above a heating duct, could also provide a false activation. If false detections continue to occur, our technician may need to relocate the sensor. What is an undefined signal? Technicians spend a lot of time testing our security systems during installation to ensure they are working properly. In very rare cases, they may send a signal that is unidentifiable in our database. In these instances, please contact us so we are able to update our database. What happens when I press the panic or fire alarm button on the touch pad? When you hold the panic or fire alarm button down for 1-3 seconds, our Customer Monitoring Department is notified immediately and we will dispatch emergency personnel to your home. If I loose power at my home, will my alarm still work? Yes. 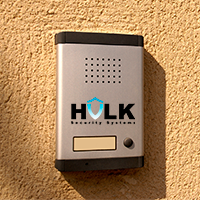 Our security systems are designed to use power from a back up battery in cases of power outages. If your back up battery is low, our Customer Monitoring System is notified in order to notify you. Is it my responsibility to test my alarm system regularly? Yes. It is your responsibility to test your system regularly to make sure it is working properly. The technician will show you how to do so and in case you forget, the simple procedure is outlined in your handbook. You may also call our office and a representative can quickly and easily walk you through the procedure. In case of emergency, should I call the alarm system first? No. In the event of an emergency, immediately call 911. If you cannot call 911, press the panic or fire alarm button on your keypad for 1-3 seconds and we will dispatch emergency personnel for you. If I accidentally set off my alarm, is there a way to turn it off before emergency personnel are sent? Yes. There are 2 quick and easy ways to turn off your alarm once it's gone off. You can either type your password into the keypad, or you will receive a phone call within a minute of the alarm going off upon which you can provide the password.